SATURDAY AM: After calling around to various markets I found a butcher who could order me the duck leg confit I’d need for the cassoulet. It’d be in by 10AM so I caffeinated up and headed to the market to pick up my supplies. As he handed over the package of what looked like 6 confit’d duck legs I was ecstatic. I strolled casually around the market while other shoppers gazed at my cart in wonder – “what is she making with that?” they must have thought, “she probably really knows her way around a kitchen”…. I was on cloud 9. 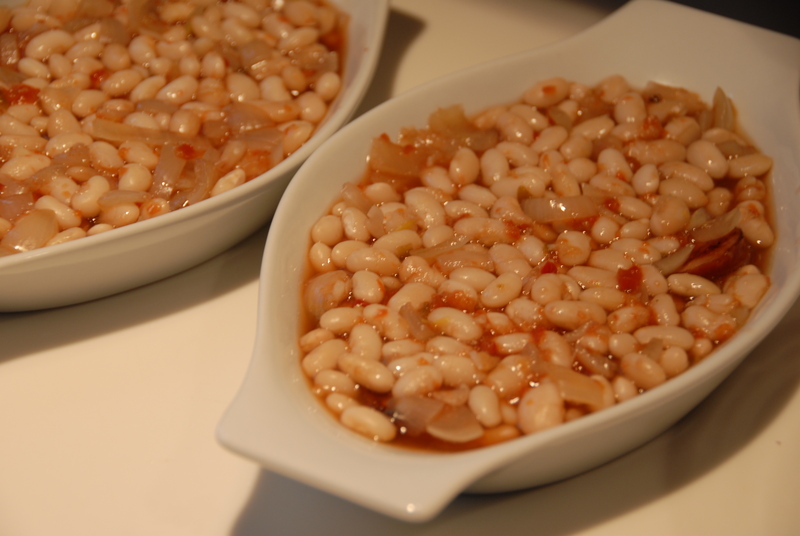 SATURDAY PM: Upon returning home from a dinner out I placed 1 pound of dried Great Northern beans in a bowl, covered them with cold water by two inches and let them sit overnight. 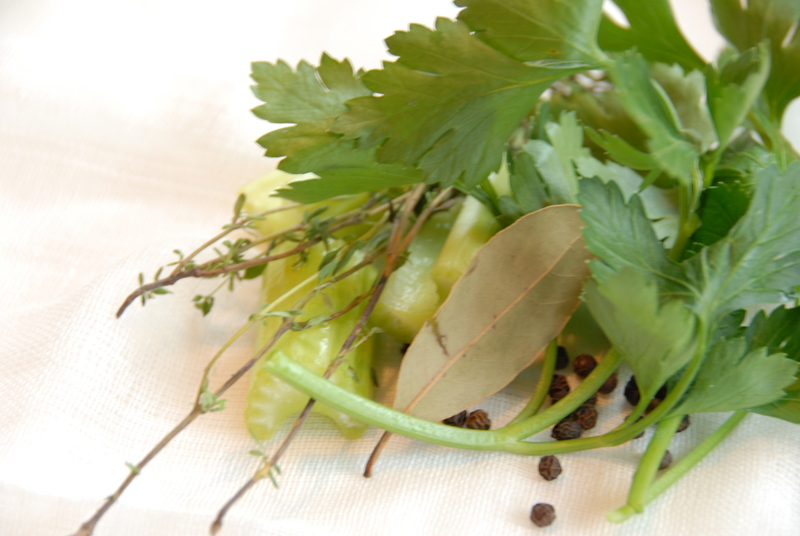 Bouquet garni: gather the following in cheesecloth, fasten with kitchen twine. 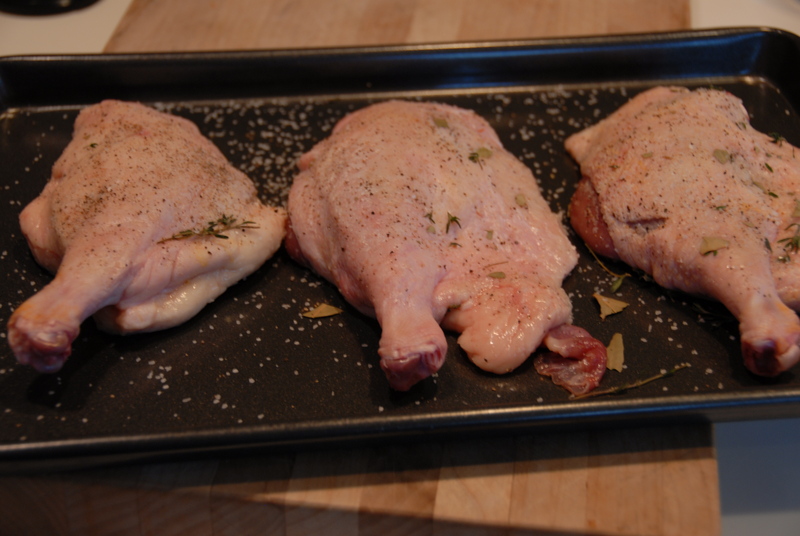 I then turned my attention to dissecting the duck confit. Upon opening the package I had bought the day before I realized that this was no duck confit, it was just 6 raw duck legs. Oh great! Now what!? My beautiful Toulousean dinner was ruined! 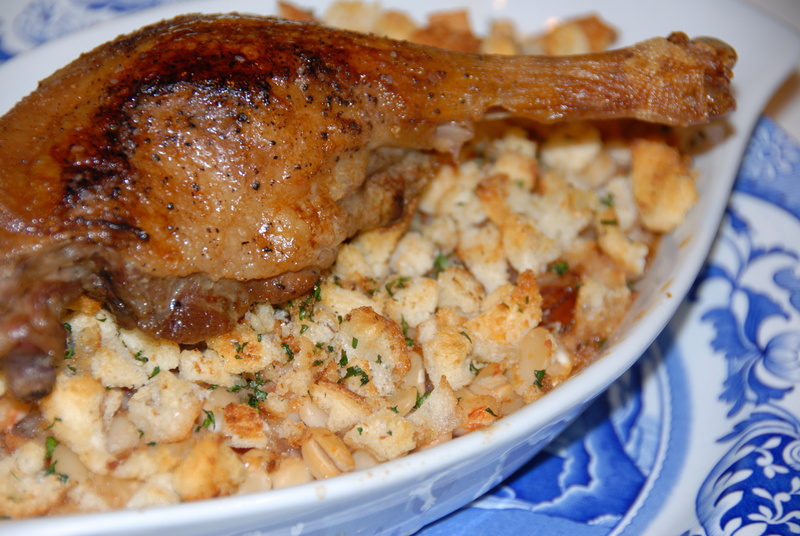 I began thinking of other things to do with the duck, it was certainly too late to make my own confit before this post was due and I didn’t want to just have keilbasa cassoulet… I took to the internet to figure out the best way to roast duck legs. This would have to do. I would roast the duck separately, tweak the simmering beans and kielbasa part of the dish and somehow combine it all in the end. 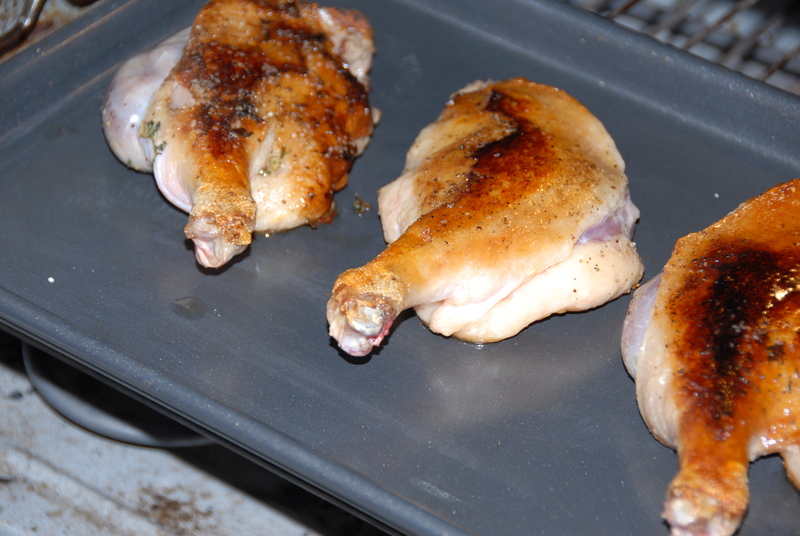 I sprinkled the rub on both sides of the legs, placed them on a cooking sheet, covered them and let them sit in the fridge for about 2 hours. SUNDAY PM: I now have the duck figured out but I’m still contemplating what to do with the pot of simmering beans in broth and sliced kielbasa… side note: I love all encased meats for their inherently unfussy nature. Yea, you heard me duck, you are a high maintenance protein. Back to the kielbasa… I decided since it was just two of us for dinner I’d sear off the kielbasa, ladle some of the beans n’broth in with the meat and cook them off in individual bakers. Here I have seared the sliced kielbasa in some bacon fat, you know, for flavors sake, and placed them in the bottom of the bakers. Fast forward, it’s now about 6PM, I started this endeavor at 11AM, I’m hungry and fading, I open a bottle of wine. Now, it’s back to the duck. I retrieved it from the fridge, let them come down in temperature a bit, brushed off the excess salt mixture, set the oven to 325° and started heating a large skillet. In the hot pan I placed the legs skin side down. I let that sear for about 4 minutes then flipped to the underside. I then placed them back on a baking sheet and got them into the hot oven. At this point I can actually see an end to this meal. 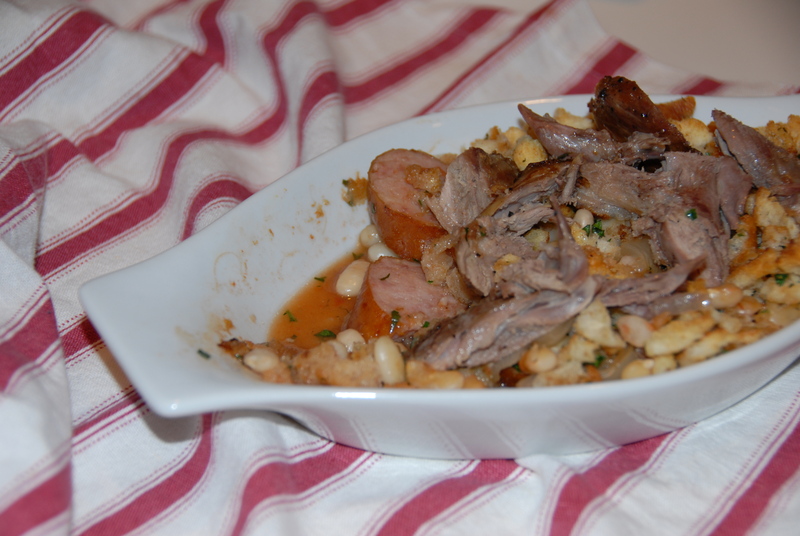 In about an hours time I would take the duck out of the oven, bake the mini cassoulets, marry the two and enjoy. In real time – the duck took about an hour to reach the recommended 165° and while the duck rested I baked off the casseroles for about 15-20 minutes. The layers of flavor in this dish, albeit not the one I was originally intending, was unbelievable. The salty bursts of meaty flavor from both the kielbasa and duck paired so well with the crunchy topping and the hearty beans. 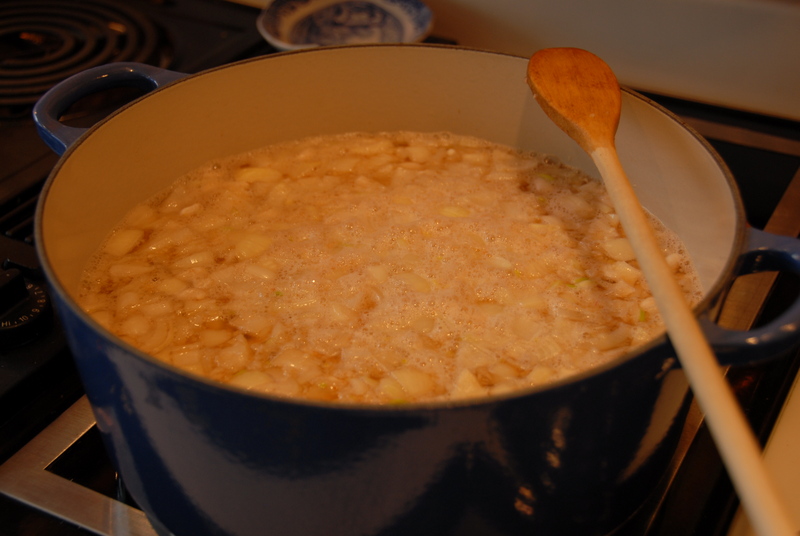 After all the scrambling it turned out to be a pretty solid dish, one that I’d absolutely make again, I’d even go as far as saying that I’m glad the butcher messed up. 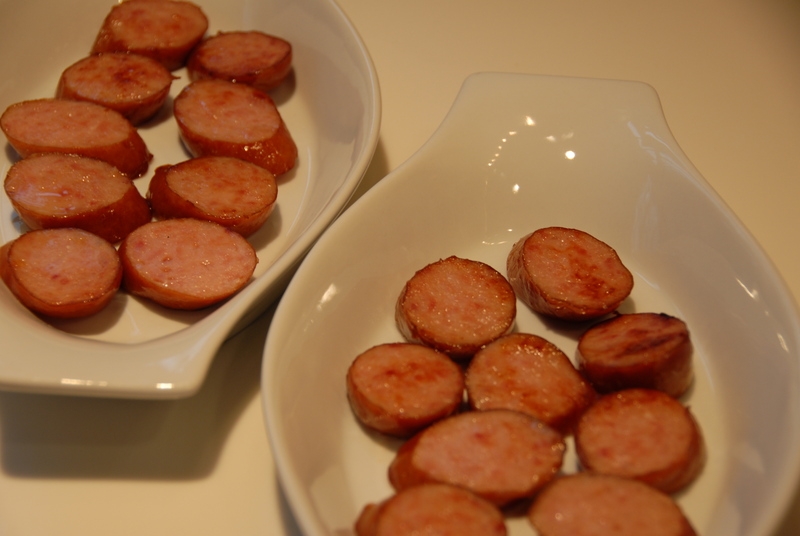 I feel as though I’ve mastered a new protein, rediscovered the beauty of kielbasa, and reworked a classic dish. Productive weekend. This entry was posted in Encased Meats and tagged beans, bread crumbs, cassoulet, duck confit, duck legs, kielbasa, roast. Bookmark the permalink.